Travelling from Avila to Segovia the first time I visited Castile, a magical view made a great impression on me. From the sea of wheat there emerged a slim, elegant tower, rising from nowhere toward the skies. 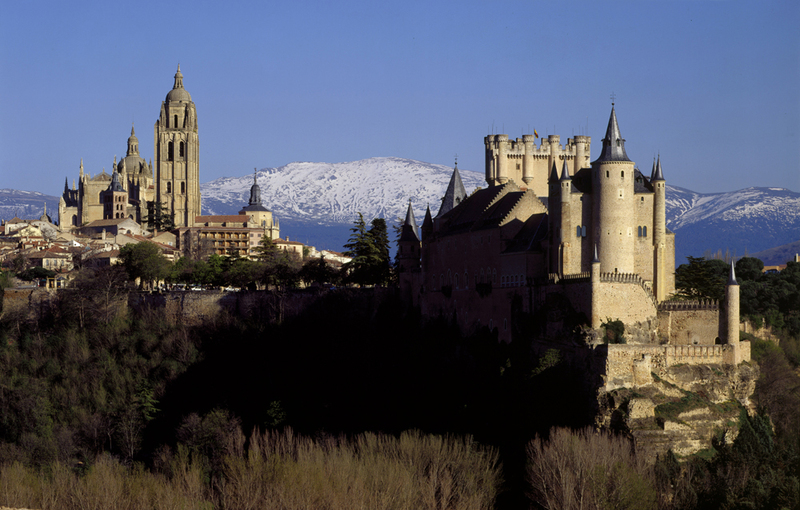 Then the whole cathedral of Segovia appeared, yellow and imposing, followed by the outline of the great city itself, against a background of snow-covered mountains. If you continue travelling in Castile, the same vision will appear over and over again: an endless, dry plain with towering castles, little villages and a small church in each of them. They are very old and dusty today, these villages, some look poor and decadent, some are completely empty but for a few odd chickens and dogs. Yes, this is Castile. And what today seems so barren was once the dynamic heart of Spain, the engine for the birth of a strong, imperial monarchy. It started as a modest County in the kingdom of Asturias, the northern part of the peninsula that was out of reach for the Islamic occupation. It soon attracted men and families from the North, Basques, Germans, Visigoths, Gascons, Astures. Their vitality and spirit of enterprise made them arrogant and independent. In the year 930 their chief Fernan-González separated this county from the kingdom of Asturias-León and eventually absorbed it. Castile thus started a powerful drive to the South, first to populate the barren lands along the river Duero, later to dislodge the Muslims who still controlled the Southern parts of the peninsula. This formidable impulse had an unstoppable inertia. Once the kingdoms of Castile and Aragón were united and the reconquest completed with the fall of Granada, it pushed the Spaniards into the north of Africa and out into the New World. After a century of splendour, history was merciless with Castile. Decadence started and continued until very recently. Many writers could not resist the temptation to explore the great contrast between the years of glory and the drastic fall into decay. This became the main theme of the authors and politicians who wanted to “regenerate” Spain in the aftermath of the humiliating defeat in Cuba and the Philippines in 1898. Some had started before, because the crisis in the country’s confidence goes back to the French invasion of 1808 and had become critical, after much turmoil, at the time of the monarchical Restoration in 1876. Miguel de Unamuno wrote in 1895 a major essay on the “problem” of Spain as a nation, where he analyzed the role of Castile in her heroic times, its drive to unify different peoples and to lead centralization and expansion at the time other mighty centres of power were appearing in Europe. Azorín (José Martínez Ruiz, 1873-1967) also wrote profusely, if in a more modest style of prose, on the history and the literature of Castile in order to explain through the past what had been happening, why decadence had started. He focused on literature: as the expression of the national “essence”, it would be able to reveal the continuity between past and present and restore the virtues of Castile. José Ortega y Gasset as a philosopher and Ramón Menéndez Pidal as a philologist both insisted on similar ideas: the vitality of Castile gave Spain her true history and should be the key to Spain’s regeneration. 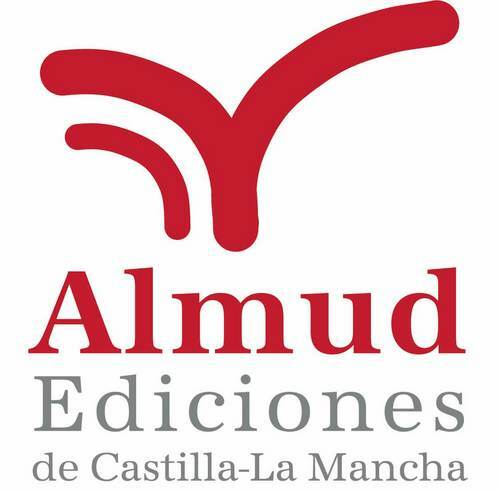 Some of the themes developed by these writers appear in the poetical work of Antonio Machado (1875-1939), probably the most widely read and admired writer of the 1898 Generation. He was born in Seville and wrote initially with great insight about his solitude and spirituality. When Andalusia appears in his poems, he evokes not the festive and brilliant landscape of the romantics, but intimate patios and winding narrow streets. He lived in various parts of Spain after the usual formative stay in Paris. In Madrid, he came into contact with the bohemian lifestyle of the modernist poets, but soon rejected their quest for purely verbal beauty and ornament. As a teacher of the language French he lived for five years in Soria. There he married and very soon lost his young, beloved wife, and began to walk endlessly along the dusty roads. In the countryside around Soria he found his true voice as a poet. He wanted to transfer into his verses an objective view of things, landscapes and people, and his reaction to them according to his own inner emotions. In a very serious and grave mood, he wanted, in the words of Pedro Salinas, to express all of that in words, to transform “real reality” into “poetic reality”. At the end of his years in Soria he published his most famous book of poetry: Fields of Castile, 1907-1917. In this collection there are many types of poetry, including a long historical ballad. They are the result of a very quiet and solitary life, the life of, simply, “a good person, in the best sense of the word”, as Machado defined himself. The book is certainly on the landscape of Castile, but mostly as a literary vehicle. He reflects on the very palpable things he sees about him but his aim is “to look for the soul”. This poetry is moving and spiritual, beautiful in the most intimate way one can imagine. Machado was a poet of the 1898 Generation and wrote under the influence of his friends Ortega, Azorín, Unamuno… Their ideas on the need to regenerate Spain, on the contrast between past glory and present dejection, surface from time to time in Machado’s poems. These are more rhetorical than analytical and some critics believe that they are at a lower level than his sublimated, pure poetry. So, when he sternly admonishes: Castilla miserable, ayer dominadora/ envuelta en sus andrajos desprecia cuanto ignora (Castile, but yesterday so domineering, today wretched and low,/ wrapped in your rags, scornful of what you don´t know. English translation by Patrick H. Sheering, Soria 2011). In his later years, our poet moved to Segovia and wrote in a more philosophical mood while the II Republic was crumbling. In 1939 he had to take the road to exile and died in France soon after crossing the border. Many years after having read Campos de Castilla, I came across a book that places itself at the extreme edge of purity that Machado at times abandoned. This book was published in 1984 by José Jiménez Lozano, a writer whose modest simplicity brought to my memory the austere life of the author of Fields of Castile. Its title, A Spiritual Guide to Castile is sufficiently expressive. As he explains, his aim is merely to point out, as a guide, the monuments he sees, leaving the reader to freely continue his wanderings and meditations. His aim is not to propose ideas about the “essence” of Castile nor is it his intention to magnify the glorious deeds of the remote past. But he goes further than the political essays of the ‘98 generation, in that his book proclaims that Castile is, leaving aside everything else, an “Oriental” land, where the juderías (or Jewish quarters) and the Arabic features in the Romanesque Architecture of the churches bear witness to a society that for long periods was at the same time Christian, Muslim and Jewish.